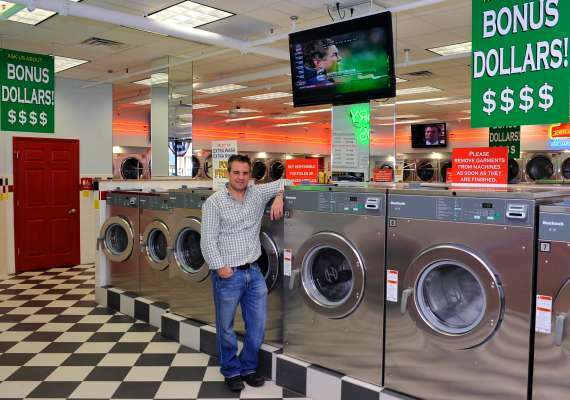 Earlybird Laundromat in the News! Many thanks to the Teaneck Suburbanite and Carolyn Molyneaux for helping us to introduce the Earlybird Laundromat to the town of Teaneck. The two-page article profiles Curtis Berger, the owner of the Earlybird Laundromat, and chronicles how he took a 40-year old, outdated laundromat and changed it into a quality place where people could count on reliable, convenient, and high-tech services. As is usual, ample parking is available, as well as TVs for entertainment and free WiFi while you wait for your clothes. The latest washers and dryers are highly efficient, effective, and cut down on wash time, dry time, electricity used, and water consumed. They’re as green as you can get! Be sure to check out the whole article here, which details all of Earlybird’s services, catering to both the self-service customer and to the busy, on-the-go professional.